Kleinian psychoanalysis has recently experienced a renaissance in academic and clinical circles. Reading Melanie Klein responds to the upsurge of interest in her work by bringing together the most innovative and challenging essays on Kleinian thought from the last two decades. The book features material which appears here for the first time in English, and several newly written chapters. Reading Melaine Klein recontextualizes Klein to the more well-known works of Freud and Lacan and disproves the long-held claim that her psychoanalysis is both too normative and too conservative for critical consideration. The essays address Klein's distinctive readings of the unconscious and phantasy, her tenacious commitment to the death drive, her fecund notions of anxiety, projection and projective identification and, most famously, her challenge to Freud's Oedipus complex and theories of sexual difference. The authors demonstrate that not only is it possible to rethink the epistemological basis of Kleinian theory, rendering it as vital as those of Freud and Lacan, but also that her psychoanalysis can engage in powerful and productive dialogue with diverse disciplines such as politics, ethics and literary theory. 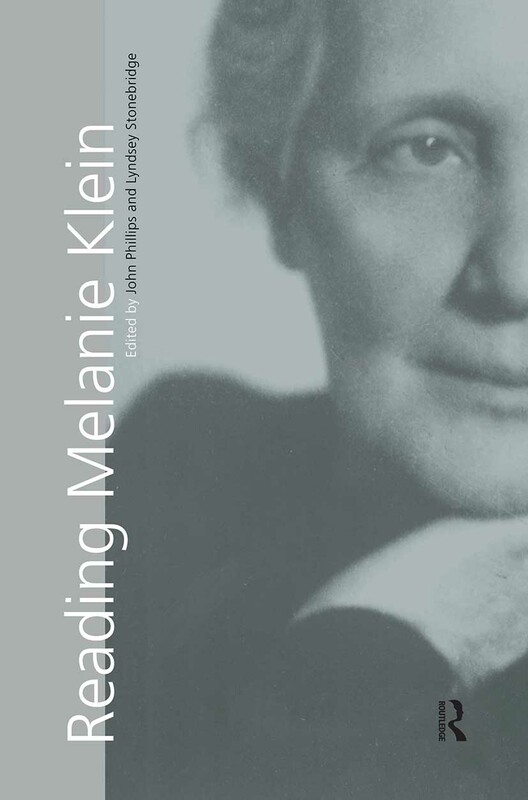 This timely collection is an invaluable addition to the scholarship on Melaine Kein and catalyst for further debate not only within the psychoanalytic community but also across social, critical and cultural studies.